Dominic Chapman and his wife Helena took charge at The Beehive White Waltham in August 2014. Their aim is to welcome visitors to their relaxed and friendly country pub and eating house. Dominic has achieved a host of awards as a chef and The Beehive is his first venture as Chef/Patron of a restaurant/pub. 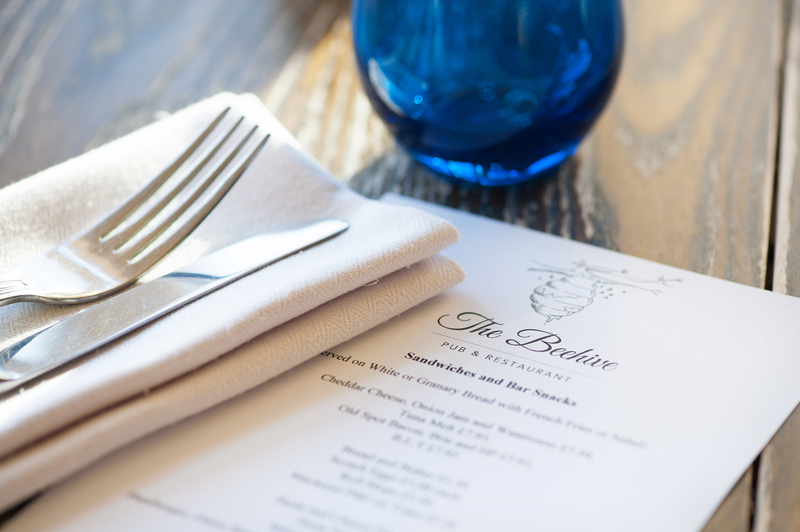 Dominic and Helena are hugely passionate about the Beehive and have created a special place for locals to enjoy and for people looking for a delicious plate of British seasonal food. The couple have been living and working in Berkshire for 15 years; they met whilst working at Kensington Place in London’s Notting Hill in 2001. Helena moved to Oakley Court near Windsor where she worked as the wedding and events Manager. Helena’s role at The Beehive is administrative, plus creating the ambience and making sure we offer a special venue for our customers to enjoy. Helena’s sister, Alicia Corlett, and her team will give you a warm welcome at The Beehive. Alicia is an experienced Front of House Manager, having worked in many of London’s most fashionable and favourite restaurants before joining The Beehive in 2014. The Team look forward to welcoming you to the Beehive soon.